We caught up with Chloe Hall, the illustrator behind the beautiful packaging of our new Wilderbom! Chloe graduated with a First Class Honours Degree from De Montfort University in 2013 and has been creating amazing nature inspired illustrations since. Kabloom: Hey Chloe! When Darren (Head Seedbom Man) talked about working with you, I was very excited as you know I've always been a massive fan of your work. 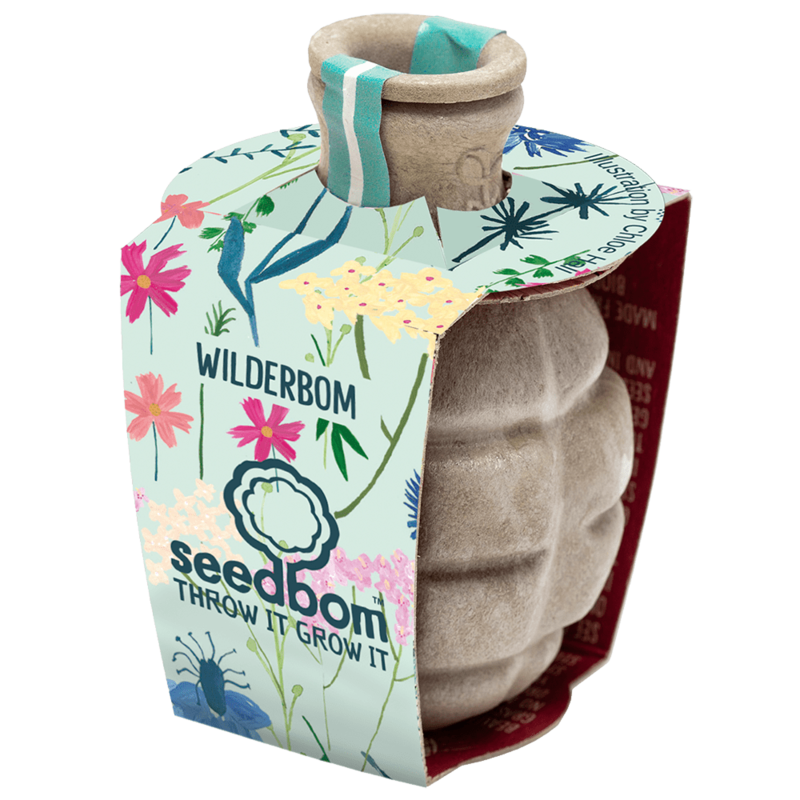 How did you find designing the packaging for our new Wilderbom? I'm sure your love of nature definitely helped! Chloe: Ahh thank you so much! When I was asked to work on the packaging for the new Wilderbom, I was so excited! I love nature and plants so I couldn't wait to get started. I normally stick to pinks and deep greens so it was really nice to create some work which had lots of different colours in, and also create illustrations that were a little bit more delicate than usual. 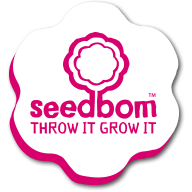 Kabloom: It does seem like a match made in heaven! What is your process when creating illustrations; particularly for collaborations? 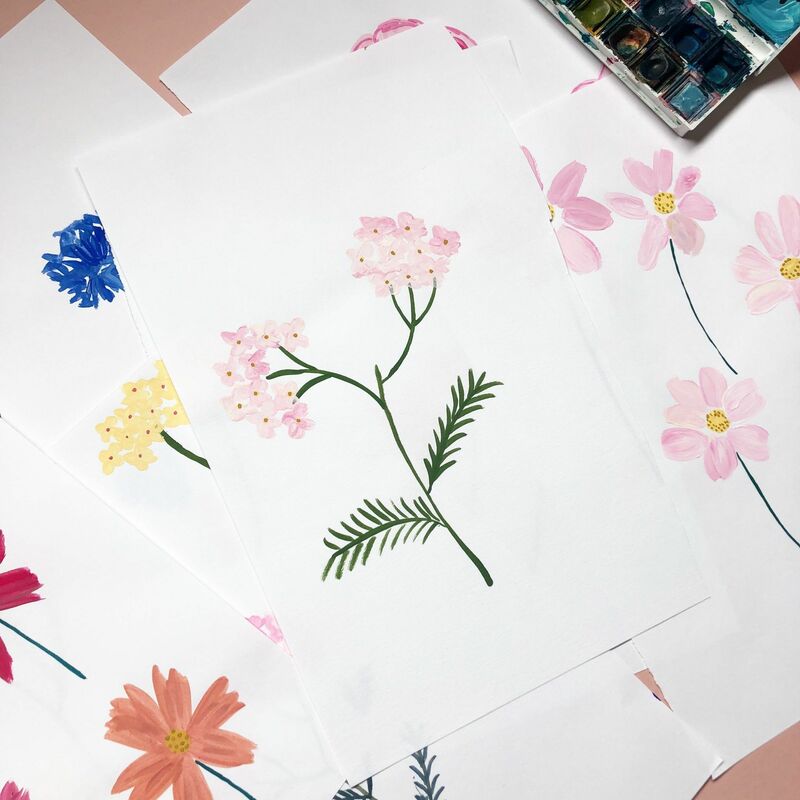 Chloe: When I start a collaborative illustration or pattern, I normally set aside a day or so to just paint lots of elements that will be included in the final piece. 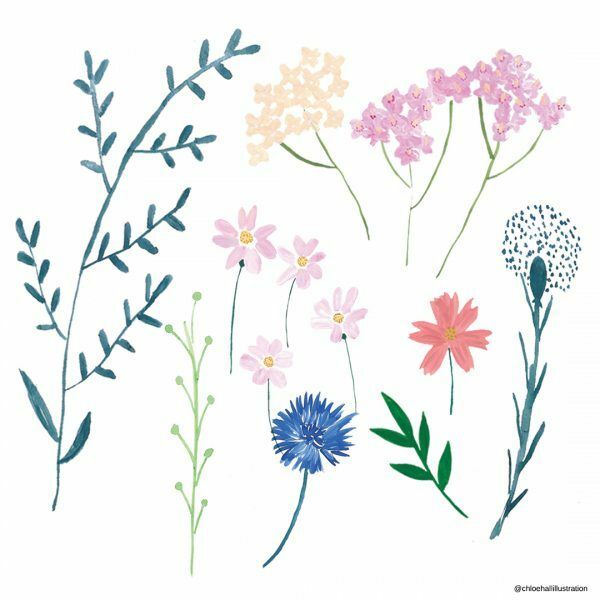 With the pattern for the Wilderbom, I spent some time illustrating lots of different versions of the flowers and leaves included, I then chose my favourites and used these for the final pattern. Once I have the elements, I then scan everything in and piece together the pattern on Photoshop. It sometimes takes a few times to get the composition right but one it's all scanned in it's easy to see what layout works and what doesn't. Kabloom: Who would be you dream person/company to work on a collaboration with? Chloe: Ooh this is tricky! There's so many talented people that would be great to work with. I've always been interested in seeing my patterns on fabrics, on either homeware products like bedding etc, or clothing, so it would be really good to collaborate on a project where either of those could become a reality! Kabloom: Oh my goodness, I would literally buy ALL the clothes if you did that, haha. We're obviously massive nature fans here at Kabloom but where do you think your love for all things outdoors-y comes from? Chloe: I just love being outside, I could spend all day outside if I didn't have work to get on with! I grew up, and still live on, a canal boat so I think that's had a lot to do with it as I remember being outside more than inside as a kid. I love walking and love being near the sea, I think it really helps you to focus and relax once you've been outside. Kabloom: Living on a canal boat sounds like the coolest thing ever?! Finally, I think all our customers will also become as obsessed as we are with your designs - where else can they find your wonderful work? Chloe: Ahh thank you so much! You can find me on Instagram, Facebook and also over at www.chloe-hall.co.uk. Thanks so much Chloe, it's been lovely chatting to you! Head over to our shop to grab your very own Wilderbom.